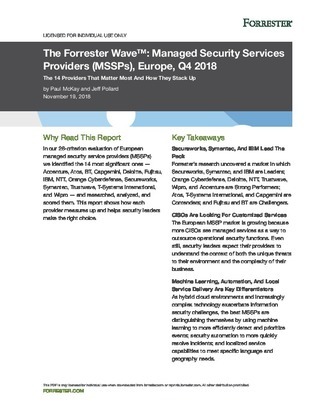 This Forrester report covers a 26-criterion evaluation of European managed security service providers (MSSPs). It identifies the most significant MSSPs along with researching, analysing and scoring them. The report also shows how each provider measures up and helps security leaders make the right choice.